The newly elected members to the Television Academy’s Board of Governors will serve a two-year term beginning January 1, 2015, ending on December 31, 2016. Governors elected to serve a first term include: Ted Biaselli, Jill Daniels, Peter Golden, CSA, Tammy Golihew, Beatriz Gomez, Terry Ann Gordon, Norman Leavitt, Sam Linsky, Janet Carol Norton, Philip Segal and Terence Winter. 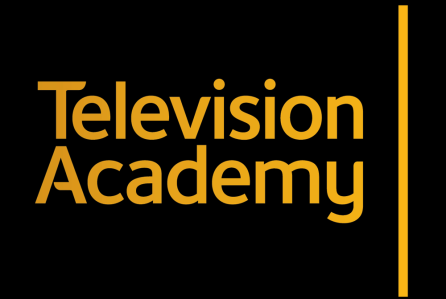 Former governors, Steve Kent and Mark Spatny, return to the board after a period of absence and join these first term governors, the TV Academy announced today. dditionally, the following governors were re-elected for a second term: Stuart Bass, A.C.E., Tony Carey, Barbara Cassel, Shari Cookson, Ed Fassl, Ed Greene, Kieran Healy, Lynda Kahn, Michael A. Levine, Gail Mancuso, Dorenda Moore, Brian O’Rourke, Lowell Peterson, ASC, Seth Shapiro, Lily Tomlin and Screech Washington. The Produced By Conference returned to Los Angeles June 3-5 for an extraordinary weekend of discovery, industry insight, and creative inspiration. For the first time, the PGA teamed with AFCI locations to bring together innovative filmmakers, established producers and executives for only 3 days! Hayma ‘Screech’ Washington was invited to return, this time as a moderator for a session on creating and producing reality television. 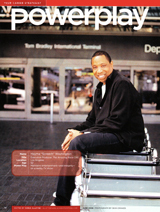 He lead a panel of some of the top reality development executives in the industry. Presented by the Producers Guild of America and hosted by the Walt Disney Studios, the 2011 Produced By Conference gave access to the leading producers in film, television, and new media. Screech Washington was invited to the 51st annual Monte-Carlo Television Festival hosted in Monaco, France to judge the Drama and Comedy Series competition. By creating the Monte-Carlo Television Festival in 1961, Prince Rainier III of Monaco, wished to “encourage a new art form, in the service of peace and understanding between men”. Monaco’s international status ideally suited the Prince’s ambition: to recognize television as an exceptional means of bringing cultures together and enhancing their respective knowledge. This project immediately generated worldwide interest and over the years, many distinguished celebrities have sat on the successive juries, bringing international recognition to the best of television programming. H.S.H. Prince Albert II of Monaco has been the Honorary President of the Festival since 1988. The best of worldwide television programming has been rewarded with the Golden Nymphs statuettes, copies of the “Salmacis” Nymph by the Monegasque sculptor François-Joseph Bosio (1768-1845), the original of which is on show at the Louvre Museum in Paris. Watch the video interview: Festival de Télévision – Hayma Washington. Hayma takes aim on the firing range. Hayma “Screech” Washington was invited to participate in the Joint Civilian Orientation Conference in September of 2010. He traveled the globe with other civilian public opinion leaders, attended briefings by Department of Defense leadership, observed field exercises and participated in military training. Click here to see pictures of Screech and the rest of the participants on their journey, or click here to learn more about the JCOC. Fuse, Madison Square Garden’s national music television network presents “Lay It Down,” an interview and performance-based show hosted by Cee Lo Green of Gnarls Barkley, which will premiere in October 2010. “Lay It Down” will feature candid conversations and exclusive performances from some of today’s biggest names in hip hop and R&B. There aren’t a lot of eco-focused programs out there, which is surprising given the social responsibility that we as producers and creators have to get the message out there. The good news is that there are plenty of projects trying to be as green as possible during production, and some people believe that green content will increase soon — people like executive producer (and the PGA’s very own Vice President of Television), Hayma “Screech” Washington, and executive producer/director Art Spigel. Jerrica Navarro of Vain Style sat down with Hayma “Screech” Washington to discuss Married on Myspace and the challenges of producing a reality show for the web. The article also features interviews with the show’s stars Dehlia and Graeham, their wedding planner and the show’s host, Anja Winkkia, and David Armour, VP, Development Digital Media, Endemol USA. 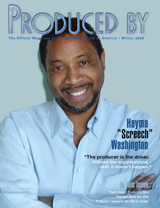 Hayma “Screech” Washington was featured as a Case Study for Produced By Magazine in their 2009 Winter Issue. Screech shared his insight on managing the intense and non-stop nature of producing The Amazing Race for thirteen seasons, his thoughts on the role of new media in entertainment, and the journey that has brought him to where he is today. >Most professionals are in a race of some sort. What’s your approach to distinguishing your brand from the pack?If you don’t pay attention to the elements you are responsible for and you’re racing to get to the end, you may find that you’ve shown up without all the pieces. You can’t be so focused on racing to finish first. You have to distinguish what is important to whatever your goal is — in my case, producing a show. You have to make sure that you’ve got all your pieces in line and you’ve got to make sure you achieve the creative vision. That is more important than the race. Detours can threaten success and lead to frustrating trials. What’s your strategy for surviving such hurdles? When our contestants go to detours, there is a pro and a con. In business I try to take that same philosophy. Am I going to hastily run through it to get it over with? Or am I going to step back and take my time, focusing on how strategically best to approach it? How do you stay at the top of your game? Sometimes the day is hard. If I can stay positive and stay focused and get to the end of the day, I’m on top. Those are daily personal rewards. 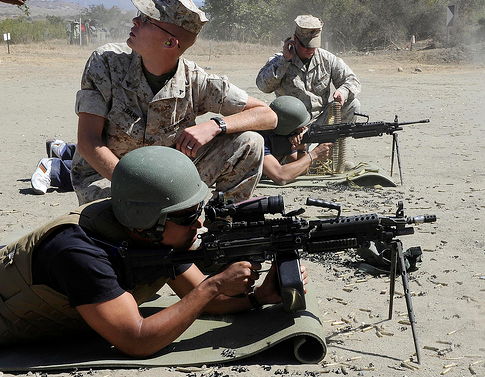 You keep that in your forefront and let that be your mission — then there are no bad days. Do you fear or prepare for that moment when consumer attention to your product fades? We prepare! There is nothing that you can produce that is not going to eventually become old. As producers, we are always thinking about how to keep our product fresh and not become complacent. You have to always look at how to reinvent it — in reality TV they sometimes call it “the twist.” In the end, in general life and other creative forms, you’re gonna have to remember that when its gone it’s nothing personal. Are you compelled to build upon the amazing record of earning five consecutive Emmys? If so, what’s at the core of your determination? I was trained by some of the best. They taught me a standard that I bring to the game. It is an honor to be recognized after all the years I put into producing it. I try to maintain the level of quality I was trained to deliver: perseverance, focus, and dedication to what we’re setting out to do. The five Emmys say the work has been acknowledged. You got to do it because it’s what you do; it’s what you love; it’s what you’ve chosen to be your career. If you get lost in trying to win awards at the cost of not enjoying what you do, you may be very disappointed. If I had been working to get an Emmy, I would have missed it because it’s been 24 years. I probably would have given up a long time ago if that was my only objective. In the early days, I didn’t know that award existed. I just enjoyed getting up every day, showing up for 18-hour shifts, and enjoying what I do. The CBS show that throws teams into a chaotic race around the globe triumphed again for outstanding reality show. The show has won every year since the inception of the category seven years ago.